- 1.13 inch AMOLED touch color screen, 2.5D glass, 300*160 pixel, support for sliding, clicking. - Support IP57 waterproof and dustproof (Please do not wear it to shower, swimming, diving, scuba diving.). - Support acceleration sensor, gyroscope, heart rate sensor, hall sensor. - Compatible with device'system must be Android 4.4/ iOS 9.0 OS or above and Bluetooth 4.2 or above. 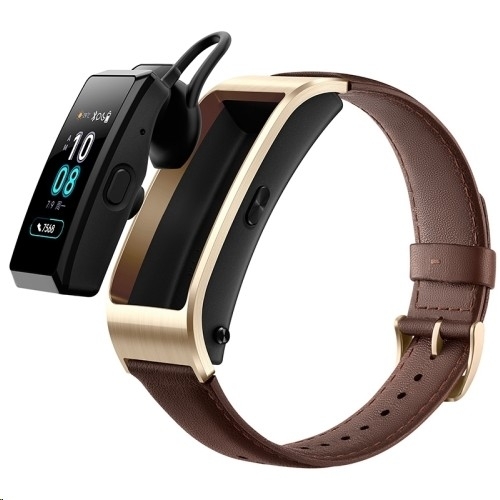 - Built-in 108mAh battery for long time using, about 6 hours talk time (theoretical), about 3.5 days working time science sleep off (theoretical) or about 3 days working time science sleep operate (theoretical), about 2 hours charging time (theoretical). - Button: 2 headphone pick-and-place buttons, press simultaneously to eject the headphones. 1 side button, support long press, short press, double click. - RAM: 512KB, ROM: 16MB Flash (external), 1MB Flash (built-in). 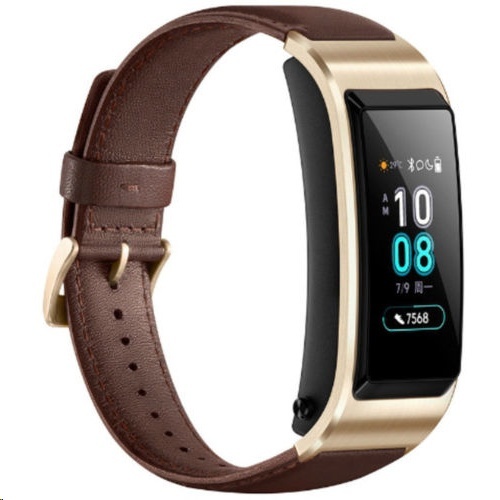 (only supports Huawei EMUI 4.1 and above), call history, health assistant (TruSleep science sleep, 24 hours); Heart rate monitoring, activity record, etc., exercise monitoring (walking, running, cycling, etc. ), sports target setting, message reminder, sedentary reminder, smart alarm clock, transaction alarm clock, bracelet to find mobile phone.